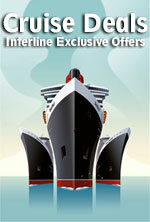 Interline discounts are offered to a select group in the travel industry. Log in to search for interline specials. 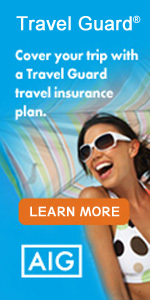 Click here for eligibility requirements. 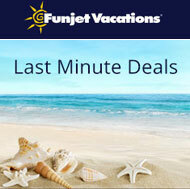 Last Minute Deals with Funjet Vacations! 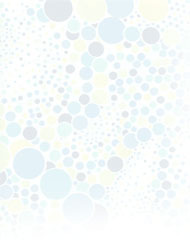 Funjet Vacations offers you everything that you want in a vacation: value, choice, assurance and above all fun! Choose from all-inclusive resorts, luxurious hotels, and value-priced accommodations in your favorite fun-filled, sun-filled vacation destinations. You can add round-trip airport/hotel transfers, rental car, rail passes, event and theater tickets, shows and sightseeing tours to your itinerary. Let Funjet Vacations help turn your vacation dreams into memories that last a lifetime! ALASKA: In the land of the midnight sun, you'll need every extra minute of daylight if you want to experience it all. From the awe-inspiring blue ice of a massive glacial field to the expansive grandeur of its wildlife and nature, everything in Alaska is bigger. Including the adventures. Interline Rates from just $374! CARIBBEAN: You'll Find Water in Every Shade of Blue. And, when it comes to beautiful beaches and sparkling blue waters, the Caribbean is really in a league of its own. Countless adventures within reach on your cruise vacation. Interline Rates from just $199! Renowned for their innovative, award-winning ships, personalized service and signature features not found aboard any other river cruise line, AmaWaterways offers an array of unparalleled cruise vacations on the legendary rivers of Europe. Make a wish right now, bacause all sorts of dreams are about to come true. Right when you step on the ship, you will experience a vacation that you can't find anywhere else. Interline Rates now available on select departures.